A championship golf course, over sized home sites, and some of the most luxurious homes you'll find in all of Jupiter are just some of the things to get excited about when it comes to the exclusive Bear's Club community. With homes ranging from club villas to elegant estate residences, Bear's Club is appealing to a broad range of luxury home buyers looking for the best in what the Jupiter housing market can offer. For more information, contact us today! As of April 21, 2019 there are 8 ACTIVE homes for sale in Bear's Club with an average listing price of $6,588,750. The highest-priced ACTIVE property listing is $11,250,000, while the lowest-priced property can be purchased for $1,695,000. Homes in Bear's Club have an average price of $872 per square foot, based on listings with an average of 5 bedrooms, 7 bathrooms, and 7,556 square feet of living space. Find the newest Bear's Club homes for sale & luxury home listings in Jupiter below! Homes here range in style from Tuscan-style villas to elegant French-inspired architecture. Regardless of the design however, homes in this gated community provide buyers with a true sense of luxury, style, and a property that’s sure to provide a great return on your investment. Much of Bear’s Club real estate consists golf course homes and gated homes that overlook lakes, ponds, and the meticulously landscaped greenery that fully takes advantage of south Florida’s warm tropical climate. If you’re interested in learning more about Bear’s Club real estate listings in Jupiter FL read on and if you'd like to schedule a free consultation with Dylan Snyder, one of Jupiter, Florida’s true luxury home specialists, give him a call today at (561) 951-9301. Founded in 1999 by Jack and Barbara Nicklaus, The Bear's Club neighborhood was designed to provide members and guests with a world-class golf and club experience, as well as the finest luxury living available in the Jupiter area. Golf enthusiasts from around the world regularly flock to the area to play at this exclusive facility, so investing in your very own home here and being able to play Bear’s Club Jupiter on a consistent basis is something that can’t be understated. Over its 401 sprawling acres, Bear's Club homes in Jupiter FL consists of 55 estate residences, 17 gold villas, 14 club cottages and 13 vintage estate homes. The custom homes that are built within the community offer some of the best finishes and craftsmanship available to home buyers and there’s simply no denying the extreme luxury each residence within Bear’s Club provides. Looking to sell or buy a home in Bear's Club? Call Snyder Real Estate Group, your neighborhood Jupiter real estate team at at (561) 951-9301. 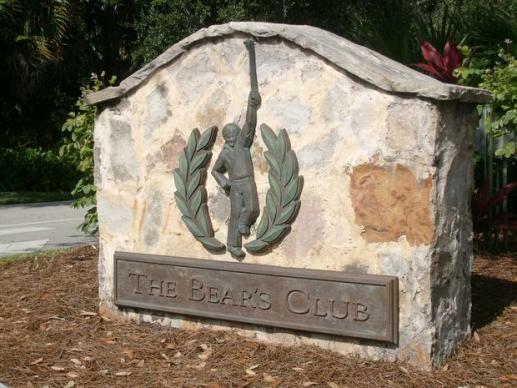 We are Bear's Club real estate agents and experts on the Bear's Club Jupiter, FL housing market. Members of this exclusive South Florida gated community & golf club enjoy a living and sporting experience like none other in the world. The 40,000 square foot club house is as pristine and impressive as any clubhouse in the world and membership at this one-of-a-kind club is by invitation only. If you’re interested in stunning Bear’s Club real estate for sale in Jupiter, FL, you better make sure your budget will allow it. Homes within the community are listed for as little as $1.5 million and go all the way up to over $12 million. Considering the purchase or sale of real estate in Bear's Club? Let our team of Jupiter real estate specialists professionally assist in your hunt for the perfect home and skillfully negotiate the sale of your existing Jupiter house. As Bear's Club neighborhood real estate agents, we know the unique nature of the Bear's Club real estate market. Our real estate pros can get you on the fast-track to your next home today! Call Snyder Real Estate Group today to learn more about buyer or seller representation. Considering the sale of your Bear's Club home? Receive a free home assessment, where you can instantly calculate your property's estimated market value in seconds!